Cod liver oil is the dietary supplement derived from the Cod fish. This animal oil is highly nutritive devoid of any kind of Trans fats and triglycerides. 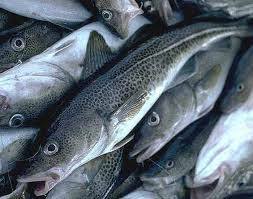 Cod is a sea fish abundantly found in Pacific and Atlantic oceans. This very fish belongs to family Gadidae of demersal fishes. Codfishes are of many sizes; it can be small, big or medium. The incubation period is somehow like from January-may. These fishes are found deep inside the oceans approx 200-250 meters down the sea level. These cod fishes feed on crabs, eels, small worms etc. Codfishes are very expensive as firstly they are sea fishes and secondly; they are highly nutritious and rare species. In all the fishes, the family of codfish is one of the most nutritive ones. Although, some other ocean fishes like the shark, tuna etc are used to extract oil and meat too. Codfish is well known for its dense white and soft meat and also for its oil. It has a mild and lingering flavor that is also used for cooking scrod. Codfishes are used since from decades. Hunting of cod fishes is a kind of major occupation for those living in coastal areas. Since from ages, cod meat and oil are used. Earlier, people used to ferment cod liver with seawater for 30-40 days. Then the oil was extracted. Nowadays the procedure is easy and takes the lesser amount of time. The cod livers and white meat are cooked and slowly after some hours, oil is itself seen in the vessel. Not only this, the left mass of liver is used to cook chips and fries. In our present world, cod fishes are also preserved in cold storage so that they remain fresh for days. 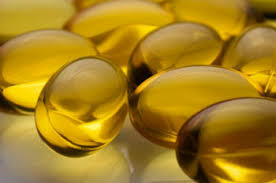 Cod liver oil is also available in markets in bottles, but most of the population consume cod liver oil in capsules. You must have seen in pharmaceutical stores and grocery stores a golden yellow-transparent capsule is available. There are many drugs companies that are manufacturing the capsules in different names. But the composition remains the same; cod liver oil is packed in small gelatin capsules for normal use. Cod-liver oil is rich in Vitamin A, D, E, Omega-3 fatty acids, saturated fatty acids, polyunsaturated fatty acids etc. The oil can be consumed by normal persons too. Those suffering from night-blindness, vision problem, skin problems, retinal weakness, lacking immunity, high-cholesterol etc should surely have this oil. Not only this, they can also have cod-meat as this will give optimum results. But those suffering from high-cholesterol problems; are recommended to have small codfishes. Cod liver oil is a very good thing for kids; one tablespoon of cod oil regularly helps to build up their immunity and healthy body. Cod oil is also a useful remedy for calcium deficiency; those prone to rickets and osteoporosis codfish are a good diet for them. Codfishes are also a good edible for weight-loss. You should intake grilled cod fish to ensure weight loss. Cod liver oil is rich in Vitamin E thus aiding in wounds, inflation, coronary heart disease and many more. It has therapeutic quality in it that heals your wholesome body. So, guys, these small factors hide big mysteries of healing. Eat well and live well.